As an affiliate marketer, there are many companies that offer commissions for promoting products. But there are 7 specific affiliate marketing companies you should know that have a great reputation and many products to choose from. Commission junction is an affiliate marketing company that represents many different products. 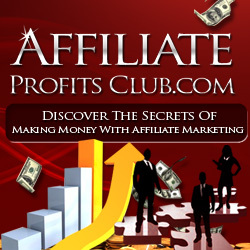 This company has been in business for years and is one of the top affiliate marketing companies. It offers you a network of large companies to work with once you’re accepted. However, because of its size and reputation, it can be difficult to get accepted initially. Once you’re accepted, though, it can be very profitable. Amazon is one of the most popular and profitable affiliate programs. You can earn commissions for promoting the wide variety of products available on their site, and the sign up process is quick and easy. Amazon provides you with all you need so that you can add banners and share links on your own blog. Share a Sale offers an affiliate program that allows you to have a large network of over 2,500 merchants whose products you can promote. It’s known for being ethical, easy to use, and provides many resources for promoting on your own blog or other type of website. Linkshare is one of the first affiliate networking companies established. It has a simple process for signing up and once you’re accepted, you have access to a large number of companies for product promotion. Like Commission Junction, very large companies are included. JVZoo is an affiliate program that many people love because it pays commissions immediately to your PayPal account. While most affiliate programs have a waiting period of up to 60 days for payments, with JVZoo you get immediate access to commissions. The sign up process is simple and gives you access to many products to promote. Warrior Plus is the affiliate program that promotes items being sold in the popular Internet marketing Warrior Forum. This allows you to promote Warrior Special Offers, also known as WSOs. It uses PayPal to deliver funds and has a simple registration process. ClickBank is a very popular site that offers an affiliate program for digital products. Through ClickBank, you can promote eBooks and guides as well as video courses and membership sites – and earn as much as a 50% commission or more – some of the highest in the industry. It’s easy to sign up as an affiliate and begin promoting products right away. By signing up with these top affiliate marketing companies, you can leverage the network they already have in place to promote products. You’ll get access to tools such as banner ads and affiliate links to make product promotion easy.